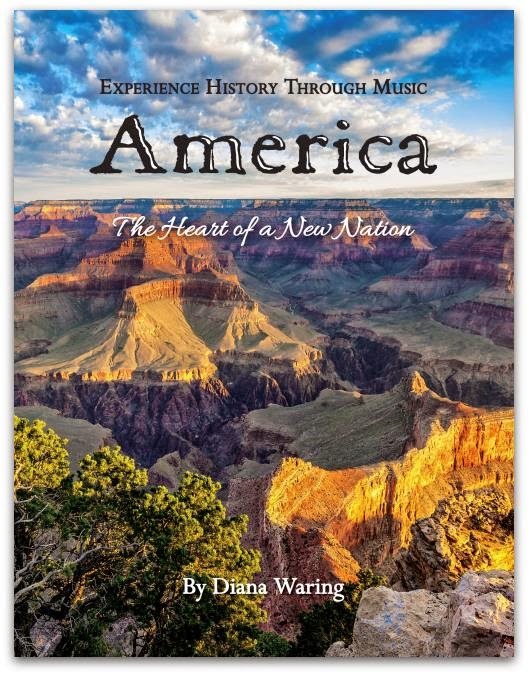 You've heard a bit from me lately about how excited I am to be a part of the team reviewing Diana Waring's Experience History Through Music books. I'm glad it's time to share my review with you! I had the very great pleasure of hearing Diana speak at the NCHE conference in May, and was able to introduce myself to her afterwards. She is lovely inside and out, and I know every woman in the room that day was tremendously blessed by what she had to say. "a song originating among the people of a country or area, passed by oral tradition from one singer or generation to the next, often existing in several versions, and marked generally by simple, modal melody and stanzaic, narrative verse." To put is simply, a folk song is of the folk, a song passed on from person to person, generation to generation, telling part of the story of not only the person who wrote it (who probably isn't known) but of the life most people lived at the time. In this day of careful documentation and copyright, I have wondered if there will be any more true folk songs that everyone knows but are credited to no one. As Charlotte Mason homeschoolers, folk songs have been an important part of our education. They are so much fun to learn! It's one of the most enjoyable things we do together. We use a lot of Ambleside Online's curriculum suggestions, and they have a great list of folksongs and resources for finding them. Many of their songs are of British origin, which makes sense, because in order to learn the history of the United States, it's important to learn where we came from, and a significant part of that is British history. However, there is something that tugs at my heart when I hear American folk songs, so I have loved learning the songs Diana has put together in these wonderful books. My children and I have been exploring the three books in this series: America, Heart of a Nation, Westward Ho!, The Heart of the Old West, and Musical Memories of Laura Ingalls Wilder. Each title contains one book and one CD, with 13-16 songs per book. The first half of each book shares the stories behind each of the songs, with amazing illustrations - drawings, paintings, photograhs - for each one. The second half of each book contains simple SHEET MUSIC! If you play the piano, or any instrument, really, the music is there for you to play and sing along with your family. The CDs are simply amazing - the recordings are excellently done. 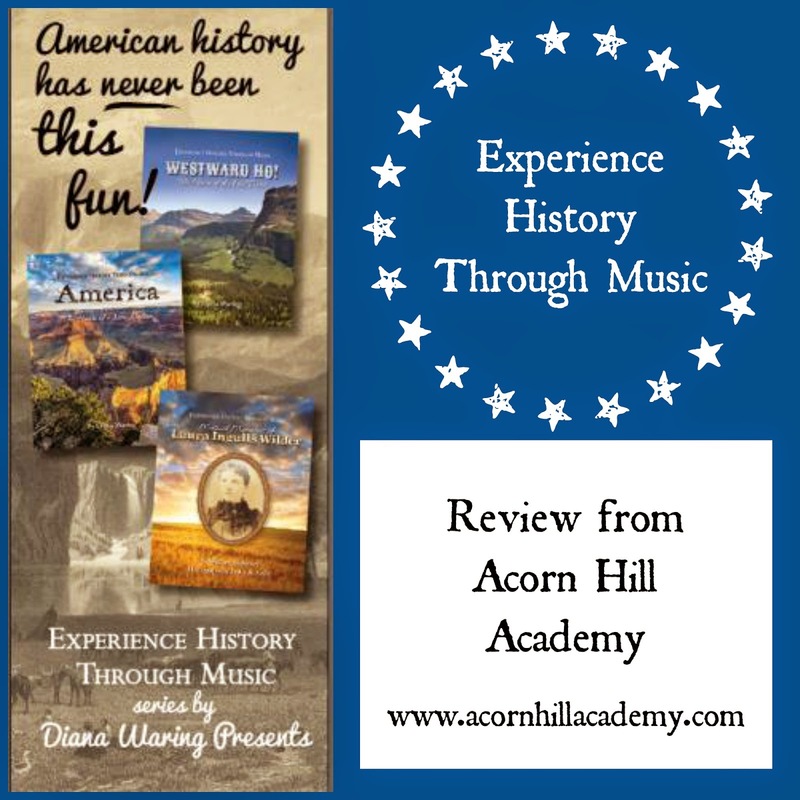 America 1750 to 1890: The Heart of a New Nation takes you on a historical tour of the folk music of the United States from the French and Indian War through the transcontinental railroad. There were only three songs in this book I hadn't heard before and I loved sharing them with my kids! I Love them all, but have to say "Shenandoah," "Get Along L'il Dogies" and "She'll Be Comin' Round the Mountain" were the favorites. Westward Ho! 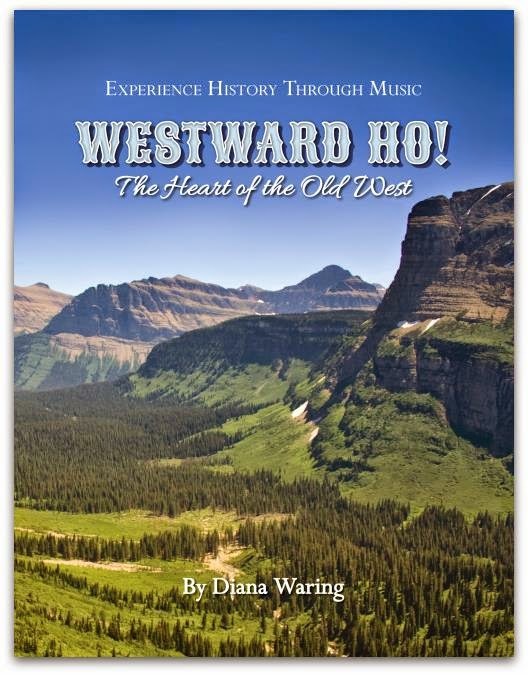 : The Heart of the Old West: This book shares the songs of the pioneer days, when people left the safety and comfort of their homes, to head out and seek their fortunes in lands as yet unknown to them. I only knew one song from this collection before starting: "Home on the Range." We had lots of fun learning new-to-us songs and the stories behind them. Our favorites were "The Apple Picker's Reel," "Westward Ho" and "Gooey Duck." 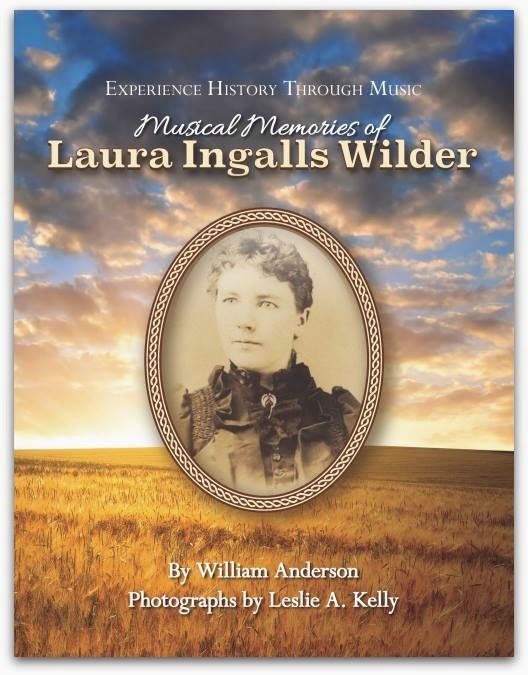 The Musical Memories of Laura Ingalls Wilder, written by William Anderson, was my very favorite book. Like many people, I grew up reading the Little House books, and I still treasure the stories. My girls love them too, and I'm looking forward to sharing them with my son. I was just delighted to have music to go along with the words to the songs Laura mentions in her books. The song we loved most as a family is "The Old Chariot." It's so much fun to sing, and I love the words, too. "Buffalo Gals" and "Pop! Goes the Weasel" are songs I treasure from my own childhood, and I have heard my brother in law sing "Buffalo Gals" to his fussy babies as he walked the halls with them, so I know he learned it as a child too. What was fun for me in learning the songs is hearing lyrics that were slightly different than the ones I knew, or perhaps sung a little differently. It was interesting to learn "Oh California," which has the same tune as "Oh! Susannah." When I sing "Pop! Goes the Weasel," I reverse the verse and chorus from how it is on the CD. I love seeing how things change through oral tradition. These books aren't a history curriculum on their own, but they would make a wonderful addition to any US history studies. Each book is available from Diana Waring for $18.99 each. For the month of July only, Diana's offering a special deal on the bundle - all three books for $50! If you decide you'd like to purchase the bundle, make sure you click the "Buy Bundle Now" button - putting each book in your cart individually won't bring up the sale price. My kids and I enjoy these books so much! We've been singing the songs in the car, and have enjoyed reading through the stories. It's pretty common to find my girls poring over the books, reading about their favorite songs. I plan to focus on the songs in these books in our homeschool throughout the upcoming year, too. I hope you'll check them out. These look great! How exciting to learn history and music at the same time!